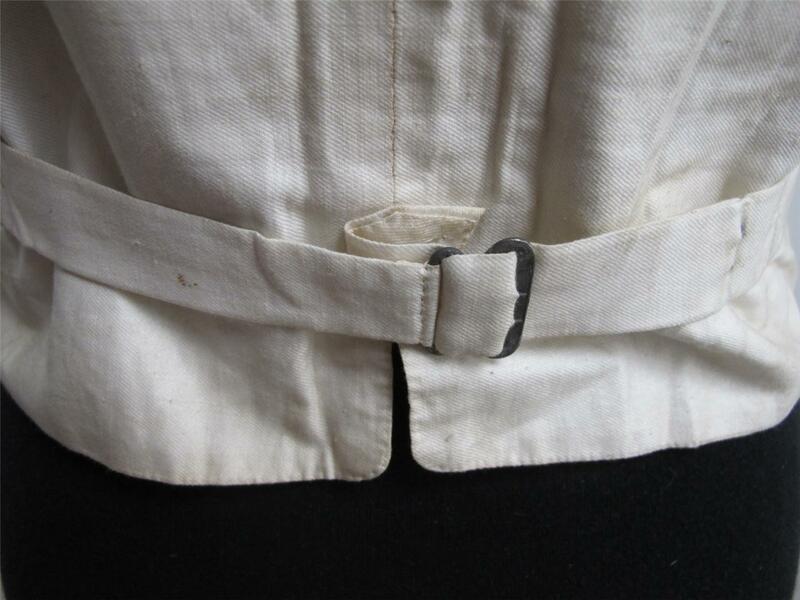 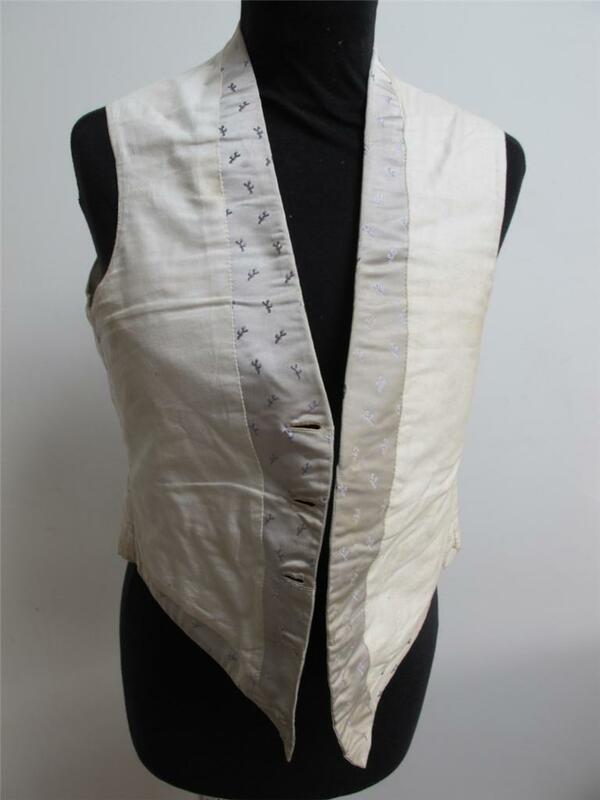 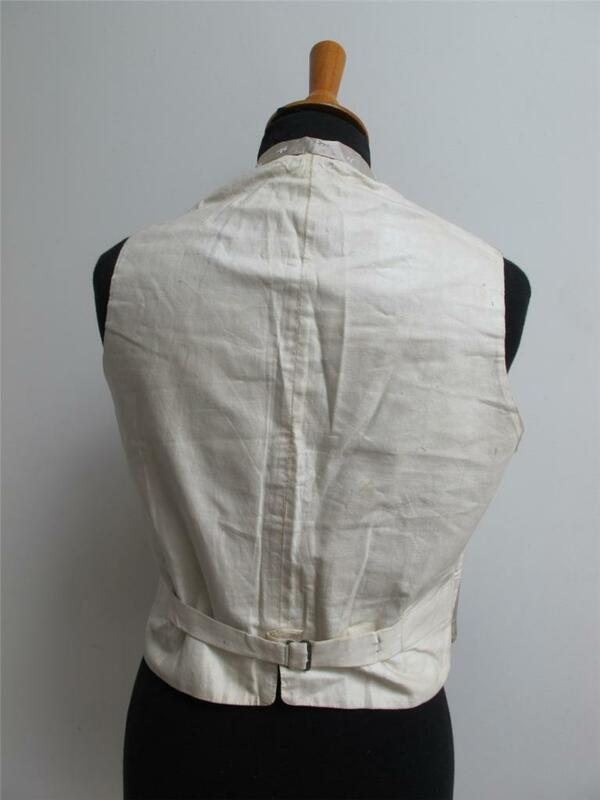 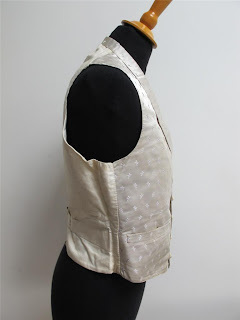 Wonderful antique Victorian grooms wedding waistcoat, which has been produced from pale lilac sprigged silk fabric to the front and plain cream linen for the back and lining. The waistcoat was found in original storage box, complete with lilac bridal bodice, cream kid boots, handkerchief, posy holder and headdress, all dating to circa 1870, all of which will be listed separately. Mid 19th century, circa 1870. 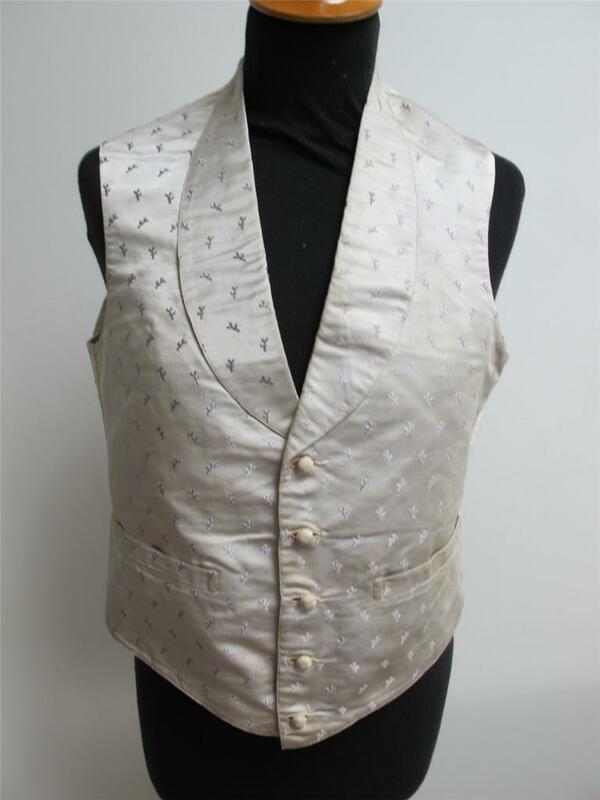 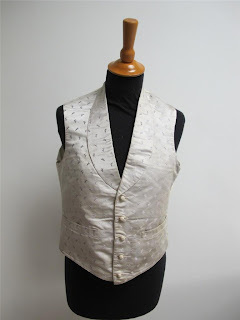 The waistcoat is in a very good condition for age, with no holes or tears to the fabric. 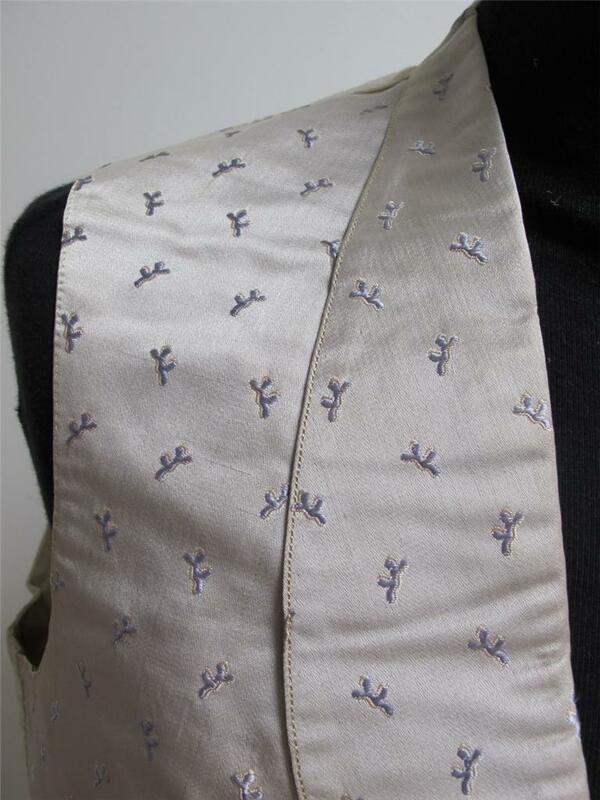 There are one or two tiny rust type spots to the silk, plus faint areas of age related discolouration. Please refer to the above photographs for details of condition. I have no idea what those purple swirrly things are but I like them.